Nuclear AMRC CEO Mike Tynan will discuss opportunities for UK suppliers in the civil nuclear sector at the Insider Made in the UK conference. The two-day event features industry leaders and sector experts in 12 key areas, giving suppliers companies up-to-the-minute insight into how technological development and economic change are impacting on their supply chains. Tynan joins speakers from EDF Energy, Sheffield Forgemasters and the Nuclear Industry Association in the nuclear energy session on Monday 21 July. Other sessions will focus on other innovative energy sectors, including renewables and shale gas, as well as developments in advanced engineering and materials. 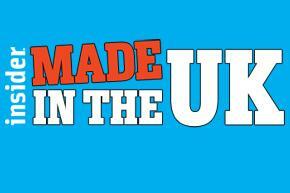 For more information and to register, visit the Insider Made in the UK website. 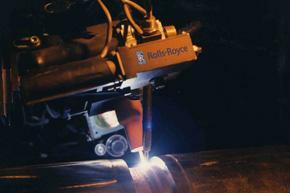 Rolls-Royce is to work with Chinese reactor provider SNPTC on civil nuclear power projects in the UK and worldwide. The announcement came as the UK and Chinese governments signed a civil nuclear agreement that they say could be worth hundreds of millions of pounds to UK companies. Rolls-Royce, a founding member of the Nuclear AMRC, signed a memorandum of understanding with SNPTC (State Nuclear Power Technology Corporation) to explore potential collaboration in areas such as engineering support, provision of components and systems, supply chain management and instrumentation and control technology. Rolls-Royce already supplies safety-critical instrumentation and control technology to more than 70 per cent of nuclear reactors in operation or under construction in China, and emergency diesel generators to almost 40 per cent. Jason Smith, president for nuclear at Rolls-Royce, said: “China represents one of the world’s largest civil nuclear markets in which Rolls-Royce has been supplying safety-critical technology and solutions for 20 years. SNPTC is the general contractor of the first four Westinghouse AP1000 reactors being built at Sanmen and Haiyang– the first of their kind to be built – and the developer of CAP1400, a third-generation passive plant. SNPTC works closely with Westinghouse and international partners including Shaw Group of the US, Lockheed Martin, Hamon of Belgium, Babcock & Wilcox and Tara Energy. The new UK-China nuclear cooperation statement meanwhile paves the way for Chinese companies to invest in Hinkley Point C, the first of the UK’s new generation of nuclear power stations. EDF Energy proposes to build two Areva EPRs at the site, and has previously announced that China General Nuclear Corporation and China National Nuclear Corporation will take a stake of around 30-40 per cent in the venture. The governments also agreed to work together to develop innovative solutions in areas including waste treament and decommissioning. A separate agreement confirmed that Chinese companies could own and operate a Chinese-designed nuclear power station in the UK, provided they meet regulatory requirements. For our CEO Mike Tynan’s view on what these agreements mean for UK suppliers, download the Q3 edition of Nuclear AMRC News.